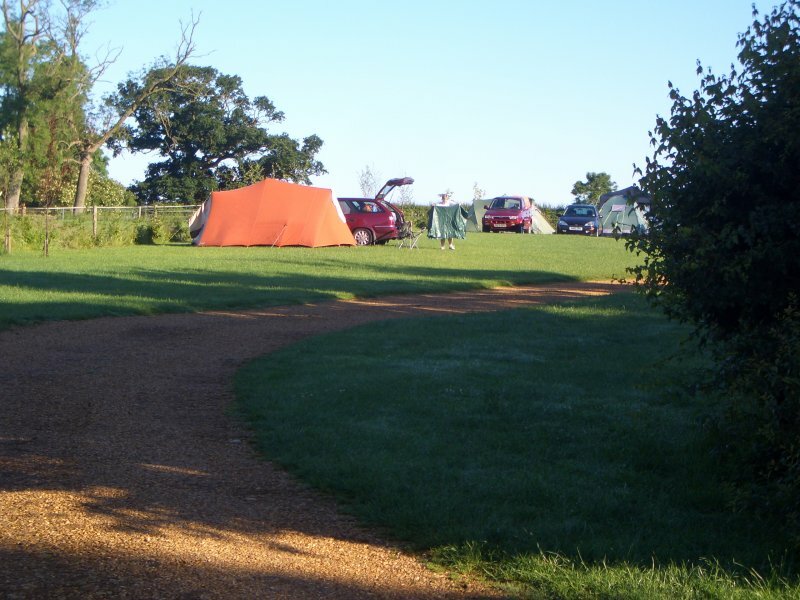 Camping is for the ‘young at heart’ and we can give you a great experience here at Anita’s in Oxfordshire. Our camping area is beautifully maintained, well mown and safe for children to run around and have great fun. We have three areas within the campsite that will suit everyones needs. We have a large area with 12 EHU’s for those who need electric which can take mixed groups of trailer tents, caravans and tents. This makes our site ideal for family groups who have a combination of all 3 and want to be together…perfect!! If you would like to be separate from the caravans there is another area strictly for tents only. At the moment it doesn’t have availability for EHU’s; something for the future. This smaller more intimate camping area backs onto the larger tent area. Servicing both of these areas is a new toilet pod with washing up facility that is as far from the typical camping facilities. Our toilets and washing facilities are as clean as the bathroom you use at home…super dupa!! For those who need to be close to the main toilet facility there is a smaller area with 4/6 EHU’s. Just let us know when you make your booking and we will do our best to make sure you are as comfortable as possible. With full use of our lovely facilities camping doesn’t have to be hard work! !